Ceramic roof tiles, or "kawara"
What we pursue is safe and secure roofing work with aesthetic quality. This attitude is based upon the experience we have accumulated since the company started in 1966 and also upon our commitment to the material selection always for the best materials for every order. We obtain the clay of Mikawa, a production region of roof tiles, through our own channel and process it into the best material. 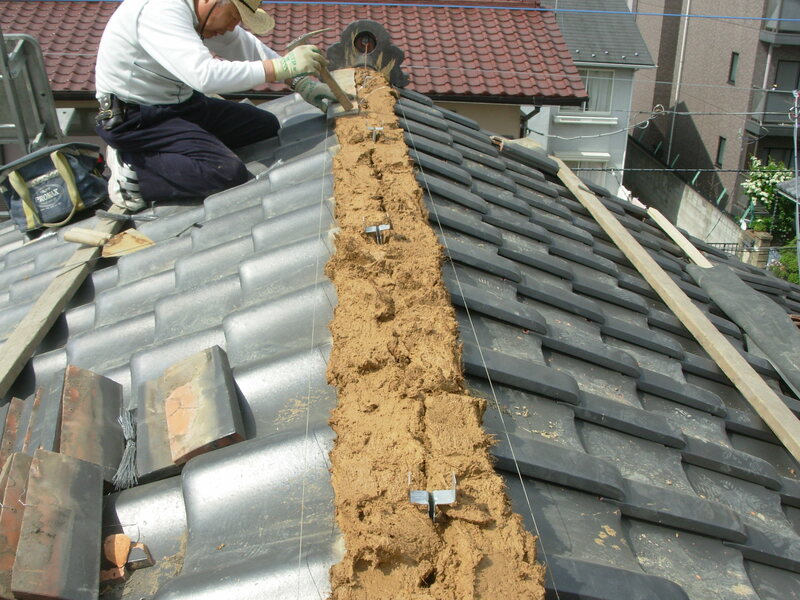 The plaster used for fitting tiles uses ingredients from Okayama. Using these strong and durable materials, combined with our technology to support them, we make highly durable roofs. It is because we believe that all these efforts will contribute to the benefits of our customers.